Coordinated by Judith Randall the group try to meet on the last Friday afternoon of every month. 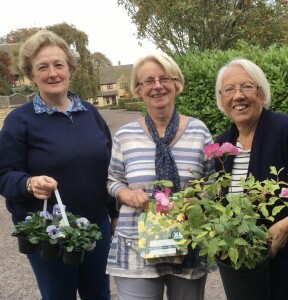 Their activities have so far included: Walking in the Arboretum, visiting nurseries and garden centres and having relaxing afternoons in each others gardens discussing plants and life in general washed down with tea and cakes. Currently there are 12 members and there’s room for more so contact Judith if you are interested. Coming back with lighter pockets after a visit to Burford Garden Centre!